Don’t miss out on these amazing pizzas in Vancouver WA! Finally, it’s pizza night. Already? Didn’t we just have that?! – Said no one ever. Kids and teenagers especially don’t seem to mind having pizza multiple times a week (or even every night). If you’re in Vancouver WA, you have plenty of quality choices for good pizza. 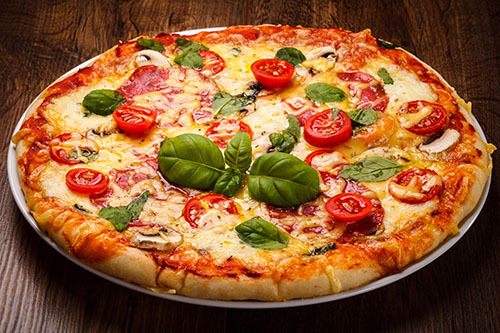 Depending on your looking for thin crust pizza, an amazing eat-in locale, or just a ton of good toppings, you won’t be disappointed by the pizza Vancouver WA has to offer. 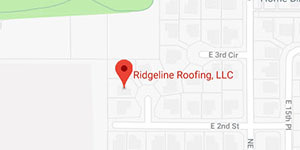 Go out and grab a bite while the roofing contractors handle your roof, then burn it off at a Vancouver WA fun center! If you’re one of those people who likes their pizza thin, then you’ll want to stop by NYC Pizzeria off SE Chkalov Dr. Coming straight from New York veterans who owned a pizzeria in the heart of the city before moving to Vancouver WA, you can get east coast heart at a west coast spot. Naturally, in the traditional NY style, this pizza is thin crust, with some thin enough to fold or sandwich. Bring home an 18-inch Giant with toppings such as garlic sauce, jalapenos, linguica, feta, ginger, pesto, broccoli, and much much more! Once known as Smokey’s Pizza, The Megabite now owns the location off Hwy 99 in Vancouver WA. And it hasn’t been an entirely unwelcome transition. With very high ratings on several prominent review sites, The Megabite has made a name for itself. And it’s not just because of the pizza. With a techy name like this, you know that they have more going for them. And with The Megabite, that’s gaming. There’s both a PS4 and Xbox1 console for playing some games, as well as the old fan favorite N64. Don’t forget the pretzel sticks! If toppings are what you love about pizza, then you have to try Leonardo’s Pizzeria on SE 1st St. While one of the more price options for pizza in Vancouver WA, you definitely get what you pay for that. For pizza, that means toppings. And LOTS of them. In fact, Leonardo’s has been known to put on so many toppings that people have written negative reviews because of it. If, like the majority of pizza fans, you love your toppings, then you won’t be disappointed. Leonardo’s also makes their own pizza sauce, slices fresh herbs for Italian seasoning, and has a large selection of local craft beer on tap. Give them a try!